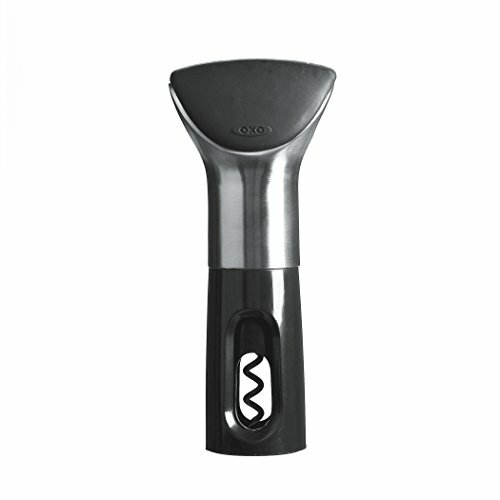 The OXO SteeL CorkPull simplifies the task of opening a bottle of wine with no awkward or strenuous pulling. Turn the soft, comfortable knob to lower the non-stick screw into the cork. Just keep turning in the same direction until the cork lifts out of the bottle. It's that easy! Use our CorkPull on any size bottle. The CorkPull also includes a comfortable and easy-to-use foil cutter built into the soft knob. Multifunctional Bottle Opener for High-end Red Wine and Beer, This Wine Opener is Used to Open Beer and Wine Bottles,and is very Convenient for a Professional Sommelier.